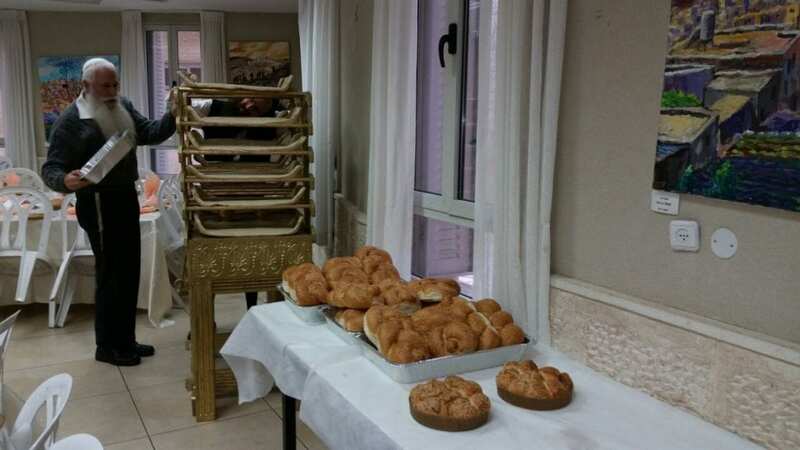 Third Temple on the Way as Priests Prepare Ritual Shabbat Showbreads [PHOTOS] - Breaking Israel News | Latest News. Biblical Perspective. Last Saturday, a Shabbat reenactment of a Temple ritual took place in the holy city of Hebron, giving participants a taste of the Temple service as it was in Biblical times while taking a practical step towards preparing for the Third Temple. 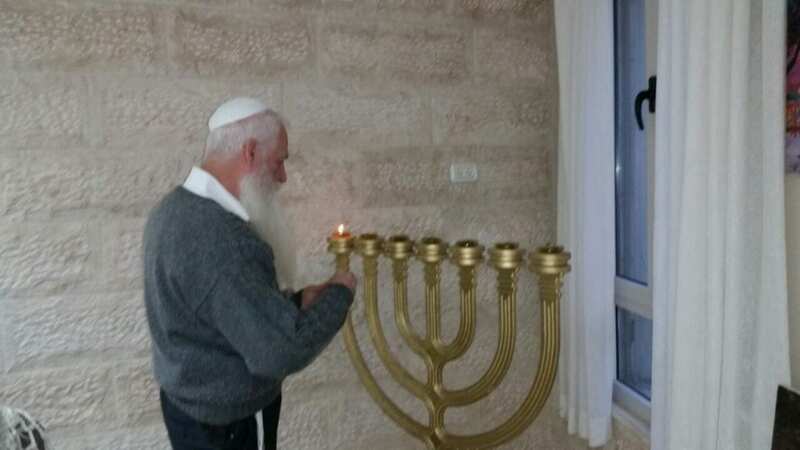 More than 80 participants were greeted in Hebron Friday afternoon by the lighting of the Temple Menorah, lit by Shimshon Album and Rabbi Yaakov Hayman, the newly-elected chairman of the Temple Movement. Facing the Menorah was the special rack holding the 12 lechem panim (show breads). 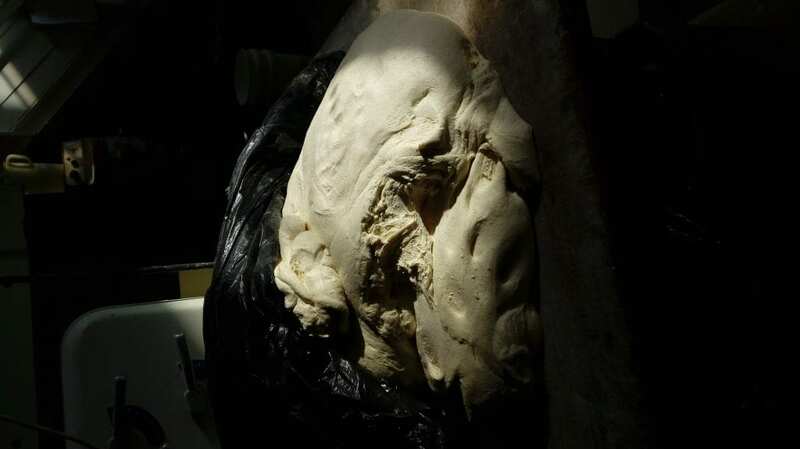 The lechem panim is unleavened bread, similar to the matzah eaten on Passover, and the 12 loaves are required by Biblical commandment to be on display inside the Temple sanctuary at all times. Cups of frankincense mixed with salt were placed on the bread. In the times of the Temple, Kohanim (men of the Jewish priestly caste) were separated into family groups that came to Jerusalem to serve in the Temple one week out of every year. The incoming group of priests would arrive on Friday to begin their service on the Sabbath. 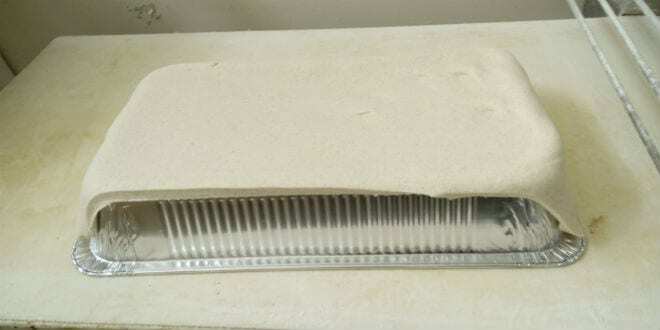 On Saturday afternoon, the outgoing priests would remove the showbread that had been on display for a week, replacing it with newly-baked bread. The two Kohen families would then join together in a meal, eating the lechem panim that had just been replaced. 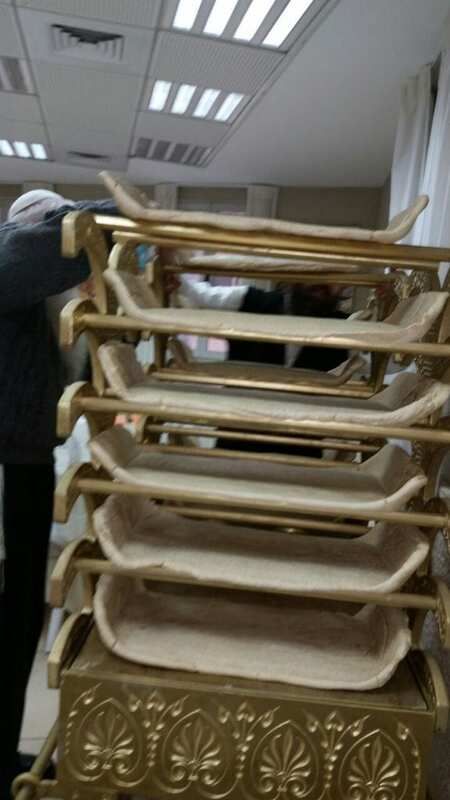 The lechem panim made a comeback on Saturday when today’s generations of Kohanim reenacted the feast as their ancestors used to do in the Temple, partaking of the lechem panim while dressed in the special clothes prepared to be used in the Temple. The event was organized by the nascent Sanhedrin. Rabbi Hillel Weiss, spokesman for the Sanhedrin, explained why Hebron and not Jerusalem was chosen for the Temple-oriented event. 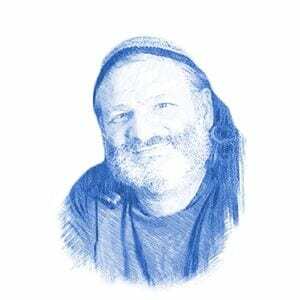 “The first sacrifice ever brought by a Jew was when Abraham sacrificed a ram in place of Isaac, so the Temple service is actually rooted here, where the patriarchs are buried,” Rabbi Weiss explained to Breaking Israel News. Tzipporet Chezi, a member of the Temple advocacy group Women of the Temple, organized the logistics. She explained to Breaking Israel News that the event was not intended to commemorate the lost Temples, but to look to the future. “The ceremony was in preparation for the soon-to-be Third Temple,” she said. Temple Movement chairman Rabbi Hayman explained why the group feels it is necessary to take steps towards building the Third Temple today.